I read this column in Another Magazine. anothermag.com And I post this on my favorite fashion reporters birthday. 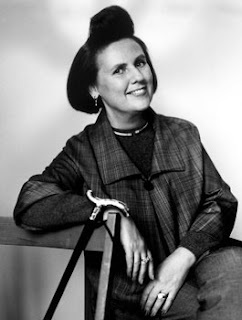 I have always found Suzy Menkes' [24 December 1943] approach to fashion one of the most interesting Well written, no nonsense, deep, yet funny. In short British, I guess. Suzy Menkes is a legendary voice in fashion criticism. Widely acknowledged for her unique skills in unveiling new talents and commenting on every fashion show, she embodies a demanding stance to relevant fashion. The author of numerous books and essays, most recently on Hussein Chalayan, she serves as the fashion editor of the International Herald Tribune. and that they didn’t look much until she peopled them. So I don’t set elegance as a high standard in anything that I review or anything that I wear myself. to break the glass ceiling. idea that they are part of a certain club. The word "intellectual" was coined in a time of great political distress. Does fashion have a political role? And in which way? Would you relate the idea of 'fashion' to the one of 'style'? I think there’s too much mixing fashion and intellect. Fashion ultimately is designed to cover the human body, to give you joy, to make you feel better. I don’t think it has to have a great intellectual meaning. Yes, you can see meaning in it afterwards, because fashion history so often comes ahead of what happens in the world, so it is a precursor. But to intellectualise fashion too much, to me, is just going the wrong way. "Fashion ultimately is designed to cover the human body, to give you joy, to make you feel better. I don’t think it has to have a great intellectual meaning"
relation to art criticism and literary criticism? fact that it’s hard to be a fashion critic in an arena where the image means so much more to so many people. journalist never to use the word “I”, never to put my own opinion there. In fact, if you had a dollar or a euro for every time I use the word “I”, you would be a poor person. But this is not true in general. I like the idea of being able to stand away and make a judgement. Here is a short film, Suzy interviewing Riccardo Tisci on his wonderful Givenchy 2010 collection. Oh, can't stop... Here's the making off of that wonderful collection.